FOUR GAMES IN the SSE Airtricity League and the EA Sports Cup have been postponed following bad weather. Two games in the SSE Airtricity League Premier Division which were scheduled for today have been affected by the postponements, including the meeting of Bray Wanderers and Waterford. The clash between St Patrick’s Athletic and Sligo Rovers has also been postponed. 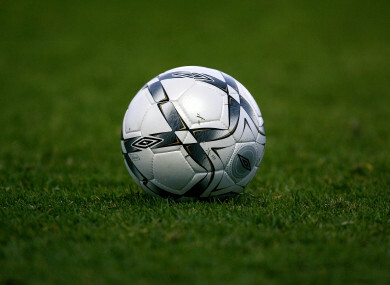 The First Division tie featuring Wexford and UCD has been called off following a pitch inspection in Ferrycarrig Park, while the EA Sports Cup meeting between St Mochtas and Drogheda United has also been halted by the recent poor weather. NEWS I Three #SSEAirtricityLeague games and one #EASPORTSCup game postponed due to poor conditions. All four ties will be rescheduled in due course according to an FAI statement. Email “Four games postponed in SSE Airtricity League and EA Sports Cup following bad weather”. Feedback on “Four games postponed in SSE Airtricity League and EA Sports Cup following bad weather”.